This threading game provides an abundance of possibilities. 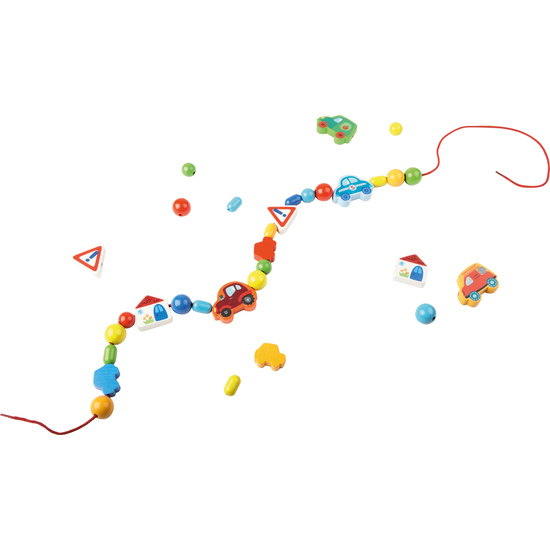 Children can creatively thread cars, signs, houses and rainbow-colored beads however their heart desires - again and again. The many cars extend an open invitation to creative play. The threading game can be easily taken along, providing fun wherever you may be. Contents: 10 cars, 2 signs, 2 houses, 36 beads, 2 threads.